University of San Francisco - "Change The World From Here." - Hugh Gurin – Copywriting. Content. Creative Direction. 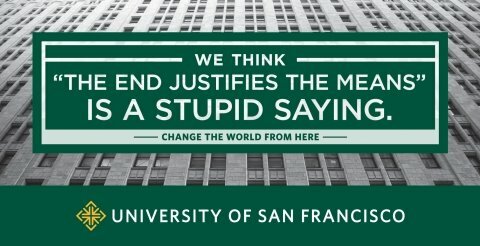 University of San Francisco - "Change The World From Here." 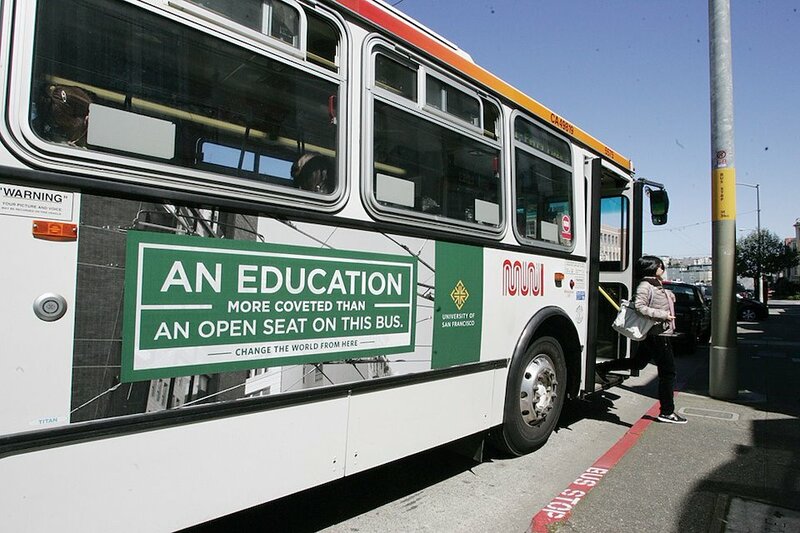 Before this campaign launched in 2012 The University of San Francisco was almost ‘invisible’ in its own city, or at best, easily confused with other San Francisco universities. 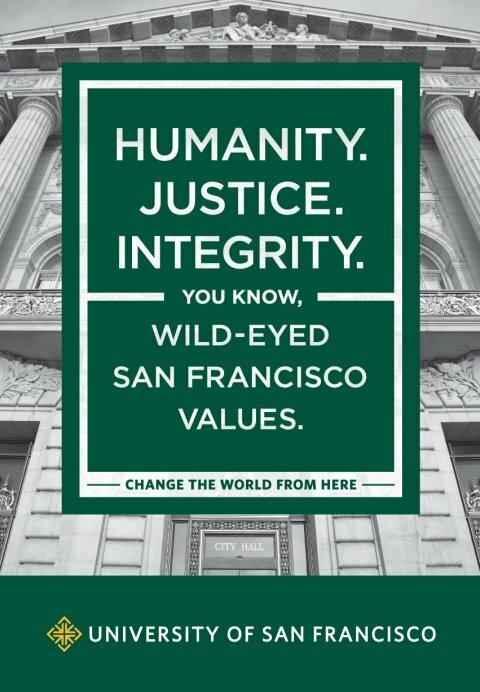 By surrounding SF business leaders and influencers with messages that defined USF’s unique offerings, the campaign has helped make people more familiar with what the school has to offer – a world-class education with a fundamental difference: Values. Selected for the 2015 Graphis Advertising Annual. University of San Francisco/Hub Strategy, San Francisco.